Ok, so this is the deal folks, you have exactly one hour to escape one of four specially themed rooms at Hoodwinked Escape. While this might seem easy at face value, keep in mind that phones are prohibited and you only have your collective wits and intellect to find your way out of your confinement. According to the people at Hoodwinked, only about 30% percent of people escape within the allotted time, which means you have quite a job cut out for you. That said, in a world where technology does all of our thinking for us, Hoodwinked Escape was a breath of fresh air and well worth the visit for those intrepid enough to try something different and daring. On my recent visit, my wife and I took on the Hangover Room and we were paired with a larger group of 6 girlfriends that we had never met before. By the end of our shared ordeal, we had become friends and we were even invited to hang out with them on the next stage of their night out. It was the trial by fire of having to come together for a mutual objective that bonded us. Did I mention that we made it out with 5 minutes left on the clock? While I would love to say that is was my sterling intellectual capacity that did the trick, my wife, somehow, discovered 2 of the most crucial clues that were instrumental in our emancipation and propelled us forward in our quest. It really was a total team effort. 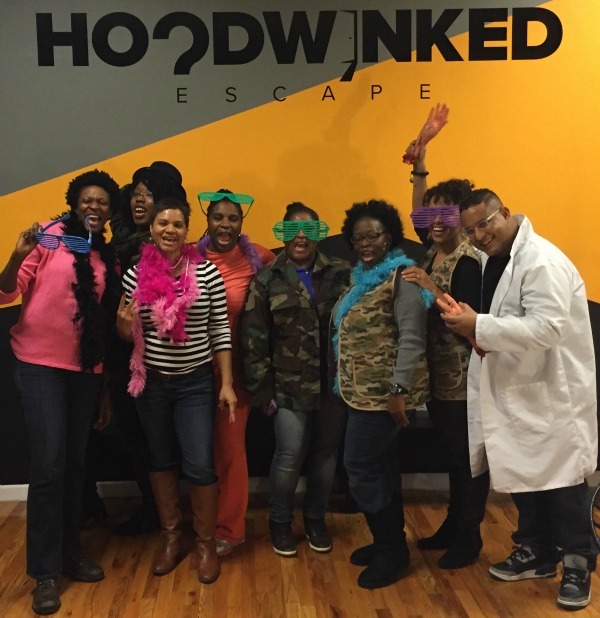 The brainchild of Michele Ware, Hoodwinked Escape brings something entirely new to Uptown. Ware left her corporate job of 20+ years to pursue her long held entrepreneurial streak. The often-packed house is a testament to her business acumen and intuition. 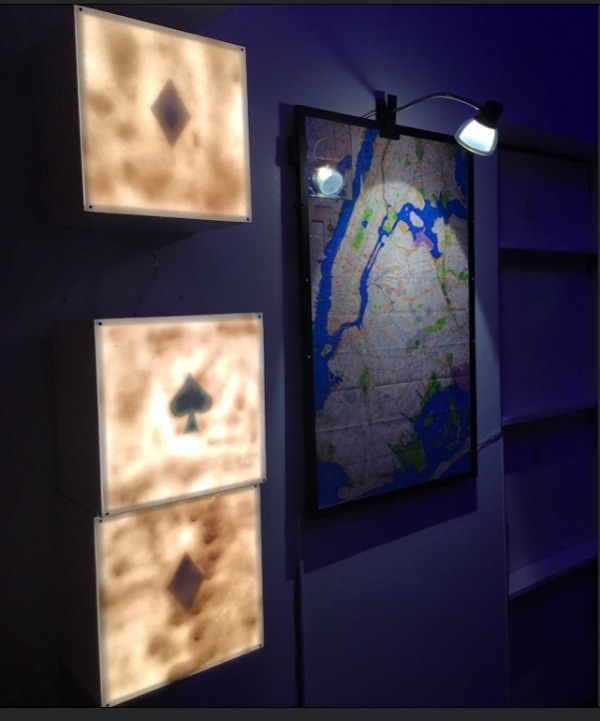 Make Hoodwinked Escape a part of your next night out. I promise you won’t be disappointed but if you don’t bring your A game you might just be Hoodwinked.